Area Trailer Sales and Rentals can accommodate any trailer needs our customers require. Contact Area Trailer Sales and Rentals Today!! Amarillo TX, Lubbock TX and Odessa TX. refrigerated, dry vans, belly dumps, flatbeds, drop decks, agricultural, and livestock trailers, just to name a few…. 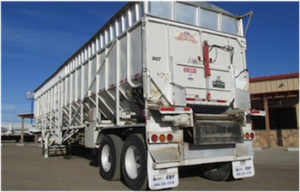 We have a large inventory of trailers for rent in Amarillo, Texas. We also offer trailer rentals in Lubbock, Odessa, and Midland, Texas, on a daily, weekly or monthly basis. From our heavy haul trailers to our small utility trailers, our rental fleet can meet the needs of most companies. 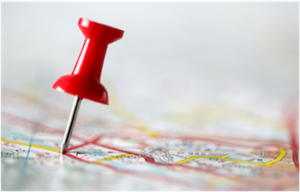 We have three locations within the Texas Panhandle to better serve you. These locations include Amarillo, Lubbock, and Odessa, Texas. Area Trailer Sales & Rentals offers an extensive inventory of trailers for sale in Amarillo, Lubbock, and Odessa. We also have over 500 trailers available to rent. As one of the largest trailer dealers in the Texas Panhandle region, we can accommodate any trailer needs our customers require. While we are located in Amarillo, Lubbock, and Odessa, we can assist customers in the Texas Panhandle, South Plains, Permian Basin, and five surrounding states. 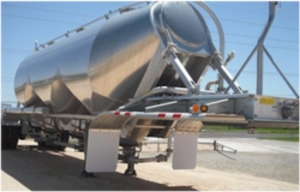 Some trailer types we offer include belt, dump, tank, car carrier, crude oil and water tank trailer, hopper and grain, and live floor trailers. Livestock, flatbed, drop deck, lowboy, and other miscellaneous trailers are also available for purchase. Manufacturers we represent include Nuttall, EBY, DYNAWELD, Dorsey, EAST, Troxell, CTS, LANDOLL, Accelerated Tanks, and INTERSTATE. We carry a large fleet of trailers for rent, ranging from 16 ft. utility types to 5 axle heavy haulers. This inventory is always turning, with all makes and models available. Our locations in Amarillo, Lubbock, and Odessa will be sure to fulfill all your trailer rental needs. We provide daily, weekly, and monthly trailer rental services, depending on how long you need our products. Financing and lease options are available for trailer purchases. These options are available through Engs Commercial Finance, Area Worktruck Sales and Finance, or GE Capital. Please fill out our online credit application or contact us via email for more information. We also service trailers that we sell or rent to customers. We have a full service repair facility at each dealership in Amarillo, Lubbock, and Odessa. This facility allows us to perform thorough inspections of all the trailers in our inventory. Amarillo, Lubbock & Odessa, Texas.